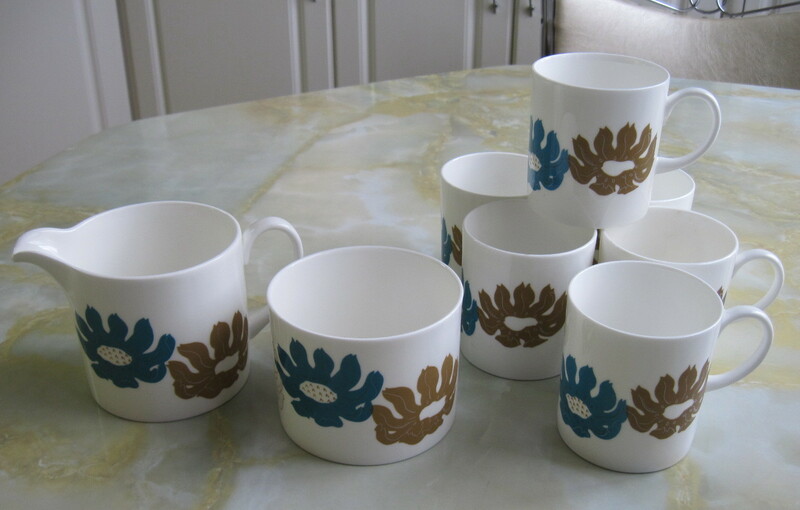 Designed by Susie Cooper in England for Wedgwood in 1971, the pattern is called Florida and they are in the Can shape. 6 nice sized mugs and a cream and sugar set. Will be available soon at my booth at the Almonte Antique Market, 26 Mill Street, Almonte, ON. Just 20 to 30 minutes west of the city of Ottawa. Open year round, 7 days a week from 10am to 5pm. Priced at $25 for the cream and sugar and $40 for the 6 mugs.